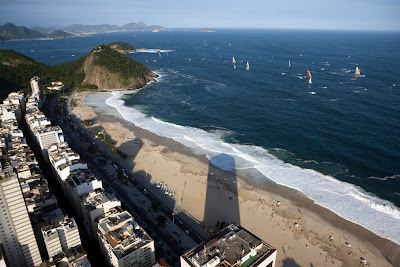 Leg six of the Volvo Ocean Race kicked off this afternoon at 1500 local time (GMT -4) in a light south westerly 5 - 10 knots sea breeze, the 4,900 mile leg should see the fleet arrive in Boston in 14 - 16 days. It was a good start for Green Dragon as they stuck close to PUMA at the committee boat end of the line, with Telefónica Black at the pin end. It was the young Spanish crew on Telefonica Black, who are back in the race after missing Leg 5 due to damage sustained in Leg 4, that had the best start off the line. 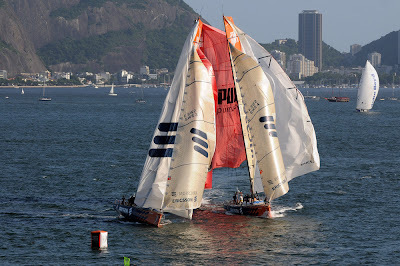 Skipper Fernando Echávarri led the fleet around the first mark in Guanabara Bay with PUMA and Ericsson 4 hard in pursuit. 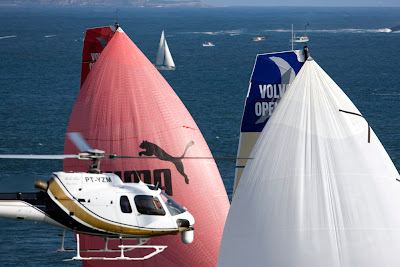 Pressure from Torben Grael at the mark forced a mistake by the PUMA which allowed Ericsson 4 to slip into second as they headed downwind. 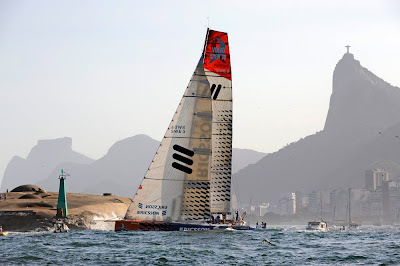 For Leg 5 winners Ericsson 3 it was a shaky start as they headed downwind towards the bottom mark, the crew were unable to drop their spinnaker and a crew member was forced to climb the mast in order to free the sail. This error saw the fleet sail past and out into the open sea, apart from Delta Lloyd who had a slow start and were left trailing in seventh. 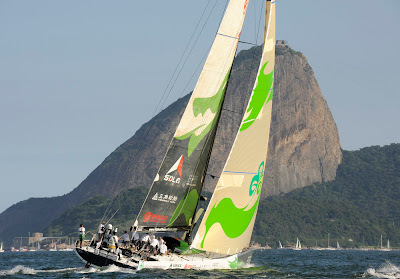 The fleet then headed out of Guanabara Bay and past the famous Copacabana beach before turning off and heading north out into the open sea along the Brazilian coast. 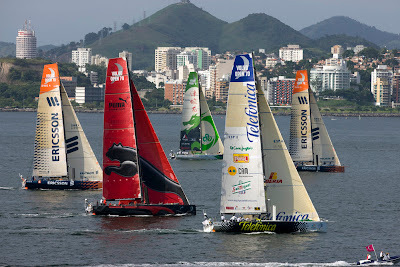 Telefonica Black’s lead held with Ericsson 4 in second and PUMA chasing in third behind. 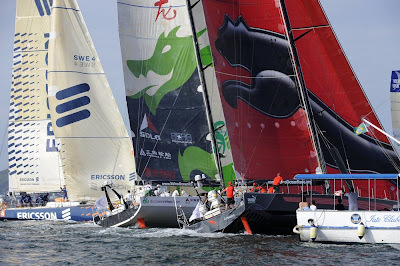 The battle for fourth continued between Green Dragon and Telefonica Blue and Ericsson 3 had made up some ground after the sail error earlier in the start and were holding sixth place. The newly repaired Delta Lloyd seemed to struggle from the beginning and were left chasing the fleet as they headed out in seventh place.